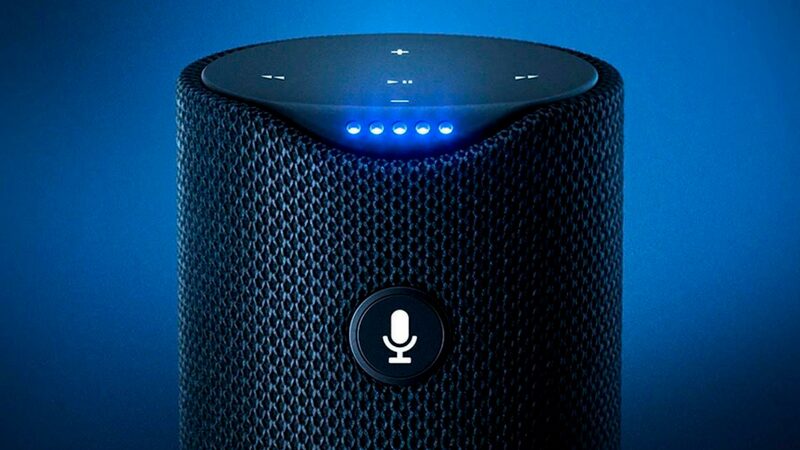 A comprehensive suite of software from Bluewind makes node-to-cloud connectivity possible for Alexa Voice Services (AVS) interaction and secure cloud connection. 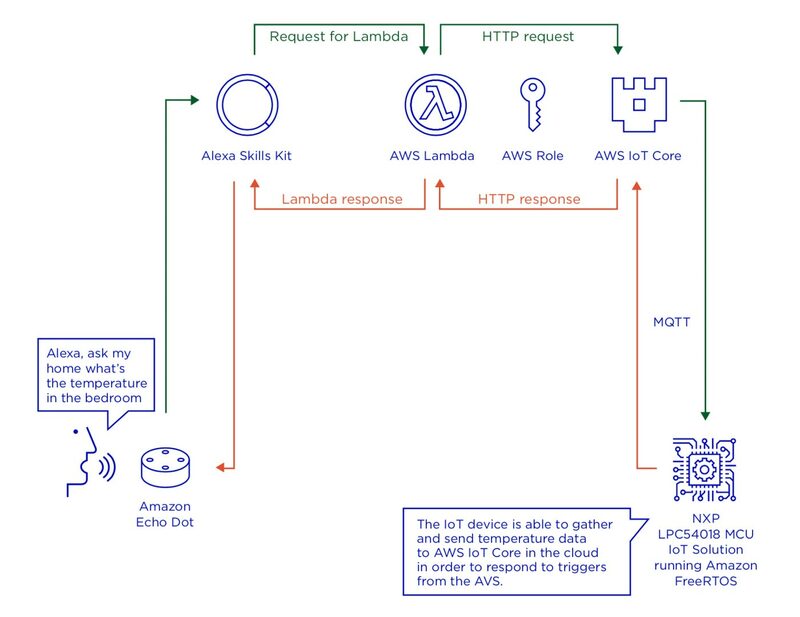 The NXP LPC54018 MCU and Amazon FreeRTOS based system create a toolkit that enable you (or the developer) to easily connect to cloud services and deploy an IoT smart home solution based on Alexa Voice Services. 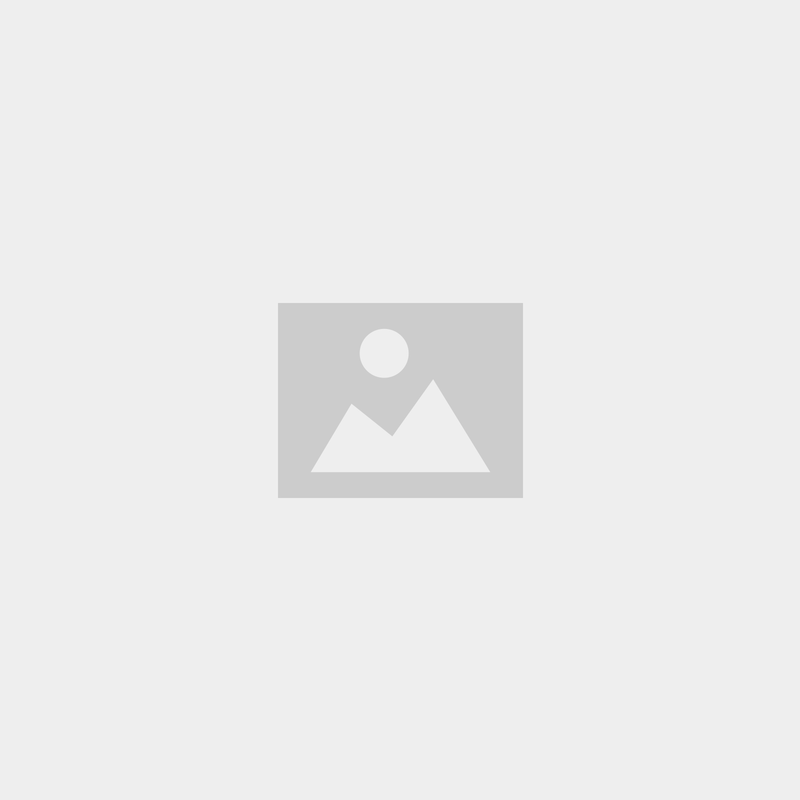 Amazon FreeRTOS for secure cloud connection and communication to AVS. NXP’s IoT module offers unlimited memory extensibility, and has options to include a root of trust built on the embedded SRAM physical unclonable functions (PUF) and on-chip cryptographic accelerators. The LPC54018 MCU IoT solution is qualified and ready to work with Amazon FreeRTOS, which allows you to easily and securely connect the IoT module to AWS cloud services like IoT Core. By leveraging this complete ecosystem, you have the capability to create a number of voice controlled applications where the voice command given to the Echo Dot is communicated to the IoT module via Wi-Fi where it can take an action (e.g. turn off or on the lights in a room or collection of rooms).